As any business owner knows, your WordPress website is the face of your business online. Uptime is critical for all business websites – any outages whether for a few minutes or a few days can have a very negative impact on your brand, sales, enquiries and your search engine rankings. For this reason, it is vital to stay on top of your WordPress Website Maintenance on an ongoing basis. 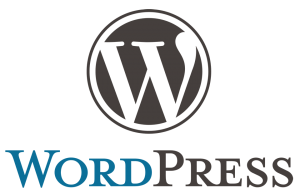 WordPress is powered by Automattic (the company behind WordPress) and a HUGE community of dedicated supporters. As a result, updates for the WordPress core, themes and plugins are all released frequently. You need to keep each component up to date and you need to ensure that each update is compatible with your site. Ignore WordPress, theme and plugin updates at your peril. Apart from adding new features, the updates regularly contain fixes for security issues. There are several well known attacks for older WordPress versions and plugins, which can lead to your site being compromised. Darvu offers a comprehensive set of WordPress website maintenance services so that you can concentrate on the business at hand. We can maintain your WordPress website so that you can concentrate on your business. You can find out more about our WordPress maintenance services here. Call today for an obligation free discussion about your requirements. Darvu are a dynamic outfit based in beautiful Adare, Co. Limerick, in the West of Ireland. We have a proven track record delivering solutions to meet the needs of our clients. WordPress was first released in May 2003 - we have been using it since August of 2003! It was "love at first site" if you'll excuse the pun! We are an approachable bunch. Whether you know exactly what you want or just have an idea, but don't know how to translate it into a working website, give us a call - we can help. If you have any questions at all, we are more than happy to answer. Feel free to contact us via any of the channels below. We know and appreciate that if you are reading this, you may be a non-technical person. That is no problem at all, if you have been reading through our site, you will have noticed that we like to keep the tech talk to a minimum. Contact us today - we are happy to talk with you about your requirements.